Photo of 'Planning For Real' at 3 Queens Parade, Queens Road, Hastings as part of a "Put the Heart back into Hastings' theme. Planning for Real enables everyone with a stake in future development of an area to have their say through the building up of a site model. 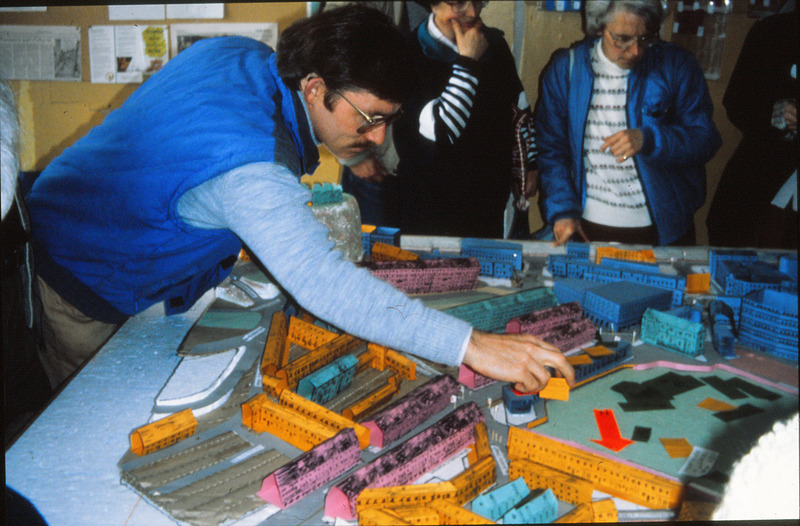 The excercise was used to explore the development of the Town Centre, Broomgrove, the Resource Centre and elsewhere in the town over a number of years.